The aim of this report is to analyze Insurance Policy in Grameenphone. 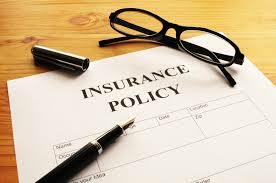 Insurance policy is a contract between insurer and the insured, known since the policyholder, which determines the claims which the insurer is legally required to pay. In exchange to have an initial payment, referred to as the premium, the insurer promises to pay for loss caused by simply perils covered underneath the policy language. Other objectives are discuss about the importance of Insurance for the organization and function of Insurance in Grameenphone Ltd. Finally identify the problems in different activities to perform the whole insurance policy of Grameenphone and suggest solution.